From Camp to the Classroom: Macabiyah! 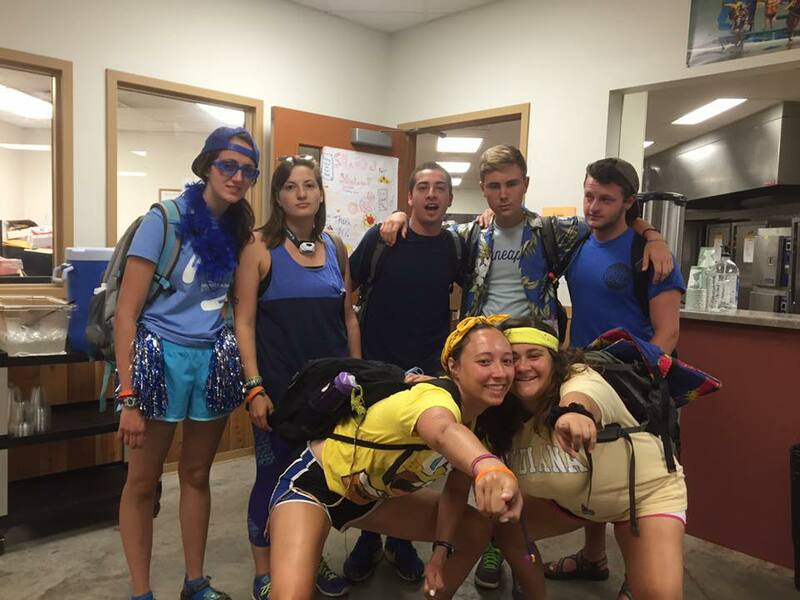 When I was a camper, macabiyah (Maccabean games), or “color war,” was always a highlight of the summer. As soon as the leadership announced it was happening, everyone’s excitement level went through the roof. With the colors competing, and the whole camp coming together for a day, it was always an unforgettable, fun experience. But, a lot of the time, this crazy experience that we have at camp gets left at camp. But why does it have to be? Macabiyah-like programming isn’t just meant for camp; there are numerous ways to implement a program like this in your school. There are many themes and occasions for which you can have a macabiyah in your school. For example, in our program bank, there are already fully-scripted Rosh Hashanah, Tu biSh’vat, Shav-uot, Israel, and much more macabiyot. And if we don’t have the theme you’re looking for, your Fellow is more than happy to work with you to create the perfect macabiyah for your community. In the program called Team Building Macabiyah, set for students 6th grade and up, it follows a very similar structure to a classic camp Macabiyah. To start, you divide into teams. The first activity is the ru-ach activity--each team makes a team name, team poster, and team cheer to represent themselves. The second activity is making the tallest Tower of Babel. Each team receives spaghetti sticks and mini marshmallows with these supplies. But there is a twist! You number off each student, and the odd-numbered students cannot build, they can only talk, while the even number students can only build and not talk. The third activity is the arts activity. Here, the teams compete in Top Chef Trivia. Each group will be assigned a Day of Creation and using materials that they win by answering trivia questions, and they will draw their Day of Creation. Each team draws their Day of Creation out of icing and other materials gained from correctly answering trivia questions on a cookie cake. Lastly, teams participate in a closing ceremony, where each team performs their team cheers and shows off their poster. This program provides an example of one of many macabiyah programs we have available. Another idea is to get your students excited by announcing the macabiyah the week before. By announcing it in advance, your students will be even more excited to come to Religious school the next week to participate. If you are interested in running this program, or any macabiyah program at your congregation, contact your Education Fellow for a fully scripted program write-up.